Compare your existing health insurance coverage with competitive health insurance quotes from other insurance companies by typing in your zip code right now! Then continue reading about EMC Insurance Companies to determine if their products match your health insurance coverage needs. EMC Insurance Companies underwrites specialized employee health and safety programs that help small to medium-sized employers manage on-the-job risks. The company doesn’t write traditional health insurance policies. The company also offers a variety of annuities and life insurance coverage, including term, universal, and whole life policies. The company offers critical illness, permanent life, and group term life/group disability policies for employer risk management needs. According to Dun & Bradstreet, the company was originally founded in 1962. The company employs about 117 people in all locations. The primary business of EMC Insurance Companies is life insurance. The company generated gross annual sales of about $148.5 million during fiscal year 2010. 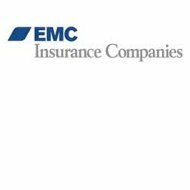 EMC Insurance Companies is publicly owned, and trades on the NASDAQ Exchange (Symbol EMCI). A.M. Best rates EMC Insurance Companies “A-“(Excellent) in financial category XII ($1 billion to $1.2 billion). The company’s outlook is considered positive, according to A.M. Best. ChemEyes, a program designed to help educational institutions identify and control chemicals at use. Schools learn to identify potentially hazardous substances and chemicals, and learn to dispose of these items safely. These chemicals may be found in storage rooms or classrooms. Teachers, administrators, and janitors learn to treat these chemicals with care, and learn proper disposal or storage techniques. Training reduces liability of the school for everyone in the community. ChemEyes is available to K-12 schools maintaining a general liability policy with EMC Insurance Companies. Contact EMC Insurance Companies at [email protected] for details. Chemical companies and other organizations using chemicals can benefit from EMC industrial hygiene consultants. EMC Insurance Companies helps clients reduce employee risks and hazards while assisting companies in the development of appropriate controls. Indoor air in your office or facility can pose a threat to employees and visitors. EMC’s environmental hygienists assist clients in identifying toxic mold or other potentially hazardous environmental concerns. EMC’s staff collects and evaluates samples to a third-party vendor laboratory for complete analysis. Then, EMC’s industrial hygiene staff presents next steps and solutions. Noise is a potentially environmental liability in the workplace. Noise levels above certain levels create hazardous conditions that may result in worker hearing loss. EMC’s industrial hygiene staff helps to identify and then ameliorate hazardous noise matters. Compliance with a variety of national safety regulations and guidelines is an important health and safety issue for employers. EMC’s industrial hygiene division ensures compliance with the National Electric Code, Occupational Safety & Health Administration (OSHA), National Fire Production Association, and Americans with Disabilities Act. This important compliance audit helps protect your company and employees from harm. Ergonomic testing helps improve productivity, quality, and safety of your work environment. This testing helps to prevent traumatic injuries and safety-related accidents. EMC’s loss control professionals use software and special tools to monitor start and monitor your workplace ergonomics. Next steps may involve everything from job descriptions refinements to materials handling assessments. Testing each employee’s job description against NIOSH equations (suitable lifting provisions) protects employees and employers from preventable risks. EMC Insurance Companies uses a national independent network of insurance agents and brokers to market and distribute their products and services. According to the company’s website, insurance brokers and agents form the basis of EMC’s “Trusted Choice” brand. Independent insurance agents usually offer clients a choice of insurance products and services. These agents help clients compare and contrast costs and values of different insurance plans and solutions. EMC Insurance Companies offers independent agents with access to the company’s newsletter. Interested agents can learn about the company’s products and services and determine the possibility of a partner relationship. Health insurance rates are rising; compare your current health insurance rates by asking for health insurance quotes from other insurance companies—type your home zip code into our comparison tool to get started today! I am writing in regards to a COB report that states that my ‘Type of Insurance Coverage’ is Workers Compensation. I have been employed for the last 2 two years. I was formerly employed with our local school district CAM Community Schools. Please help me to resolve this.